An ancient tablet unearthed in Kent has turned out to be inscribed with curses intended to bring bad luck to more than a dozen people. The rolled up lead tablet found in East Farleigh, on the site of a Roman farmstead, was found in a 3rd to 4th Century building that may have been some kind of temple. Inscribed on the lead in capital letters are the names of 14 people, which an Oxford University expert says were the intended victims of the curse. It was discovered by the Maidstone Area Archaeological Group during excavations three years ago and has since undergone a series of detailed tests to determine its purpose. The extremely fragile 6cm by 10cm tablet, which is just 1mm thick, is an example of a kind black magic popular in the Greek and Roman eras that called on the gods to torment specific victims. Once inscribed, the tablets would be rolled up to conceal their inscriptions then either nailed to the wall of a temple or buried in places considered close to the underworld, such as graves, springs or wells. 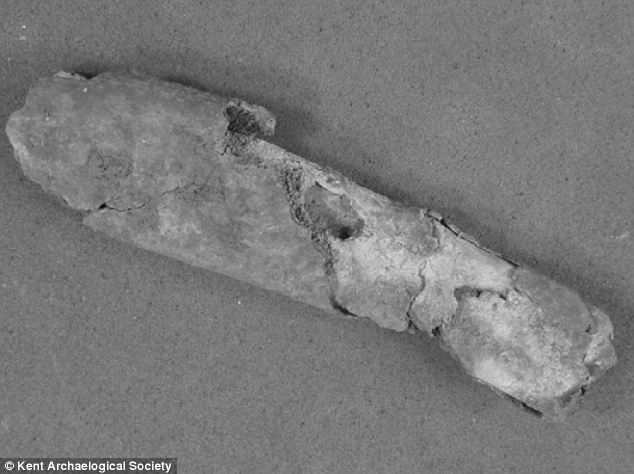 The Kent scroll had likewise been carefully rolled up and buried. 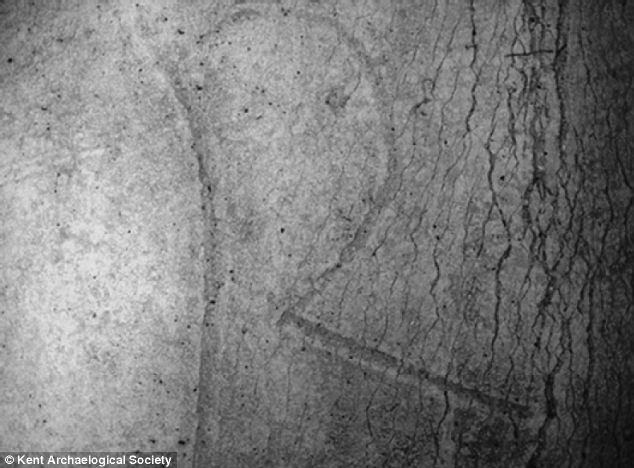 As it was unrolled, the inscribed letters became visible under a scanning electron microscope. Dr Roger Tomlin, lecturer in Late Roman History at Wolfson College, Oxford, who is an authority on Roman inscriptions, spent four days examining the scroll. He said he believes it was made in the 3rd Century AD. 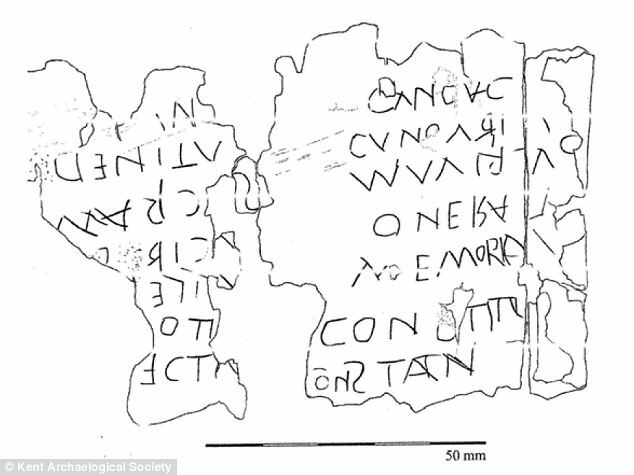 ‘The tablet is not dated,' said Dr Tomlin, ‘and since it is written in capital letters it is not possible to date it by handwriting. It’s possible that it was made in the third century AD. Dr Tomlin told Discovery News he believed that the tablet consists of two columns of names, but that it is not necessarily complete. From what was available, he was able to decipher the Latin names Sacratus, Constitutus, Memorianus and Constan, as well as two Celtic names, Atrectus and Atidenus. Eight further names are incomplete, but further cleaning and examination could eventually lead to their transcription, Dr Tomlin said. The scribe wrote some of the names backwards or upside down. Dr Tomlin speculated this was intended to invoke 'sympathetic magic' to 'make life difficult or perverse' for those particular individuals. But the motive behind the curse, and indeed the nature of the curse itself, both remain a mystery since experts have as yet been able to glean no clue from the text. 'No god is named. Indeed, we cannot be sure that we have the beginning of the text,' Dr Tomlin told Discovery.